Halo prequel Reach comes out this fall, but according to Bungie's Brian Jarrard, had things been different, you could have been playing Halo 4 instead. Halo: Reach, Bungie's final Halo game, is a prequel set before the rest of the series, and shows what led up to the events of the original Halo. But according to Bungie's community director Brian Jarrard, Bungie also discussed the idea of making a true sequel to Halo 3. "Even before the idea to build a game based around Reach came about, a lot of other concepts were explored," said Jarrard. "Up to and including a proper Halo 4, where Master Chief was going to wake up from cryo-sleep and we were going to tell that story." Jarrard said that the idea was shot down fairly early however, as the team didn't feel really enthusiastic about it: "it just wasn't as interesting to the team to just pick up where that left off and all the baggage that came with it." 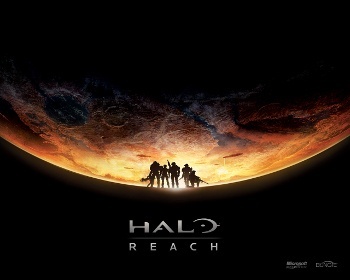 According to Jarrard, Reach is designed to be accessible to both fans of the series, and those who have never played a Halo game before, and that this fresh perspective is proving very exciting to the team: "I think it was a little bit liberating. Hearing the guys talk about working through the trilogy and the obligation of keeping the themes moving forward and tying them up systematically. And ODST was also kinda nice 'cause they could do something different, something separate, and it's totally self-contained. I definitely think that, for Reach, a lot of the same attitude carried over." Jarrard also said that the team was mindful that it wasn't going to be able to revisit the series, so preferred the idea of looking back in the canon, rather than forward: "We don't want to open up a whole bunch of doors that we're not going to close. By the end of this, it's all going to come to a nice, neat finish, and if people want to then go play the Halo trilogy, I think they'll have a better understanding of what's going on, but it's not required at all." Halo: Reach is release on September 14th.